The 21st round of Serie A will end on Monday evening with a real crisis duel: In the Stadio Carlo Castellani the Empoli Football Club receives the CFC Genoa 1893. Empoli has been waiting for five league games for a win. After all, the Azure Blues ended their series of four defeats in a row on the final day with a 2-2 draw at Cagliari Calcio. Now it’s time for a success again. With 17 points, the club is from Tuscany on rank 17, the first non-relegation zone. The advantage over 18th place is only four points. Even worse is the shape of the coming opponent. The CFC Genoa is in free-fall in Serie A and has only won one of the 14 most recent matches. There were eight defeats. The balance in the foreign looks a little worse: Genoa could get from the last 15 away games only one victory. There were twelve bankruptcies during this period. The last five league games on the opponent’s place were all lost. Now they also had to cope with the departure of top striker Krzysztof Piatek, who moved to AC Milan last week. The Pole scored 13 times in 19 games, putting him in fourth place in Italy’s scoring list. For € 35m Piatek is to become the Rossoneri successor to Higuain, which was transferred to Chelsea in the current transfer period. Genoa did not have time to commit a successor. Can Genoa end the negative series without the top scorer? If you look at the game Empoli vs. Genoa on bookmakers odds score as outsiders. Also, the betting base sets in their analysis to Serie A game Empoli vs. Genoa on the tip “Victory Empoli”. In recent years Empoli was a classic elevator team. In the past 19 years, the club from the Tuscan city played eleven years in the second division and eight years in league one. A particularly successful time the club experienced from the season 2012/13 to 2014/15 under coach Maurizio Sarri, who coached Chelsea today. At that time Empoli had a young team and the lowest budget of the league. Nevertheless managed the FC with a modern and courageous football sovereign relegation. As champions of the second division in the 2017/18 season Empoli returned to this season back to Serie A back. Ascension coach Aurelio Andreazzoli was fired on 5 November after a 1-5 draw in Napoli on Matchday 11. At that time Empoli was in 18th place with only one win and eleven points. Since then, the team of Giuseppe Iachini is trained. But the Azure blues still could not really free themselves from the table cellar. With 39 goals conceded, the climber has the second worst defensive Serie A. In his own stadium Empoli could get at least 13 of the 17 points. In front of their own fans, there were four wins, one draw and five defeats. 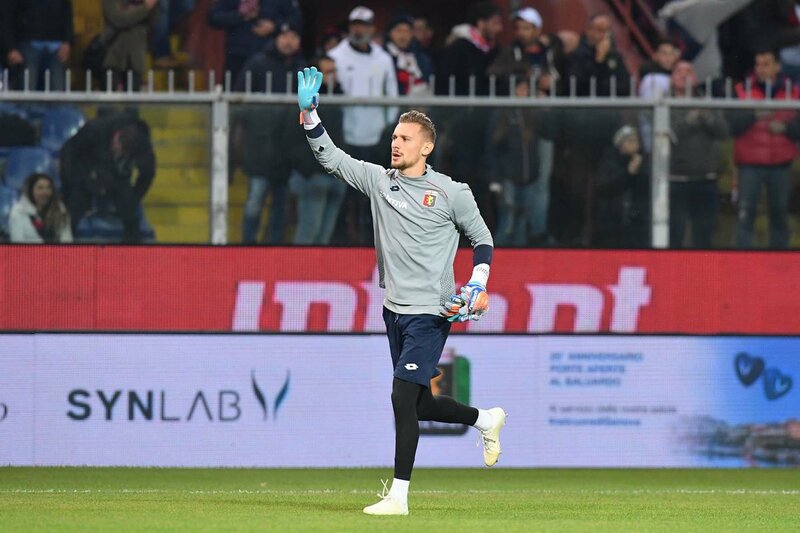 In the Stadio Carlo Castellani, the hosts lost the last two games against Sampdoria and Inter, but could at least celebrate three home wins in a row. Away Empoli is one of the weakest teams in the league. Outside, Coach Iachini’s men are still waiting for their first win of the season, scoring just four points in ten games. Overall, there have been twelve games on the opponent’s place no more success. After all, the Tuscans managed on the final day with the 2: 2 in Calcio the first point win after four defeats in a row. It had even looked like a victory for Coach Iachini’s side until the 90th minute, but Diego Farias’s goal scored a 2-2 victory in the 91st minute. The stakes of Antonino La Gumina and Luca Antonelli on Monday are still questionable. For this, Rade Krunic and Ismael Bennacer should return to the squad. Also in Genoa there was already a change of coach this season. Coach Ivan Juric was sacked after just over two months in the cup after defeating third-tier club Virtus Entella on 6 December. Successor was the former Italian national coach Cesare Prandelli. In six games under the new coach, it was enough only for a win. CFC Genoa 1893 is currently ranked 14th with 20 points from 20 games. At the first relegation rank, the lead is only six points. 16 of the 20 points were won by the CFC at home. After all, the club is in ninth place in the home table. Away are the Rossoblu but just like Empoli only four points. The goal difference from nine away games stands at 11:24. 24 goals on the opponent’s place are the worst value of the league. After all, the club from the Ligurian capital so far could make headlines with its top striker Krzysztof Piatek. The Pole, who had come from the Polish club KS Cracovia to northern Italy before the current season, played a sensational half-series. He scored eight times in his first six league appearances. Overall, he was last at 13 goals. During the week, Piatek was hired by AC Milan as successor to Higuain. As a first transfer Genoa then announced on Thursday the loan of Stefano Sturaro. The former Genoese was actually loaned from Juventus to Sporting Lisbon. Juve ended the loan but prematurely to send the midfielder to his old home. Goran Pandev or Andrea Favilli should replace Piatek initially at the game in Empoli. Before transferring the striker to the Rossoneri, CFC met Milan last Monday at home. The guests bit their teeth for a long time on the strong fighting Liguriern. Especially at the beginning, the Genoese were clearly better and offensively dangerous, but Milan keeper Donnarumma could not overcome. In the end, the team of coach Gattuso won 2-0. Actually, Prandelli has always let his team play in 3-5-2. On Monday, however, the coach could possibly switch to a 3-5-2. Injured missing Oscar Hiljemark. Between Empoli and the CFC Genoa there have been 21 games so far. With seven wins for Empoli and six wins for Genoa, the balance is fairly balanced. There are also eight draws. 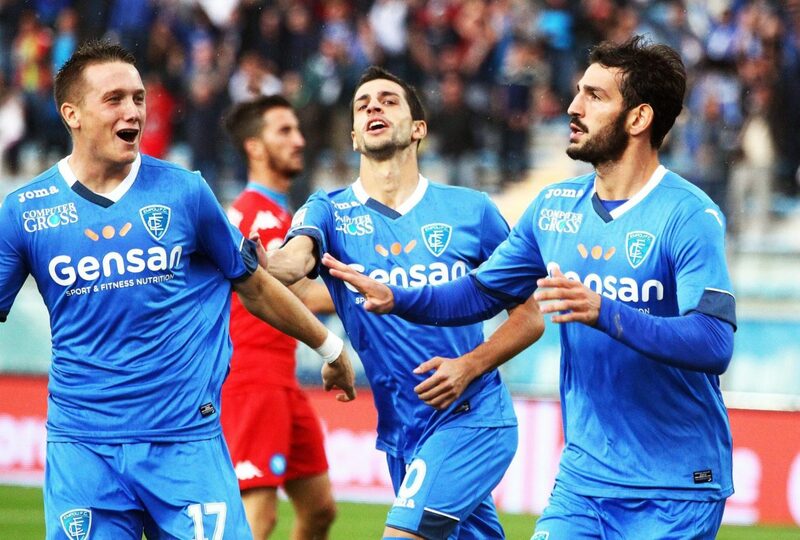 In Tuscany, there have been four home wins so far, five draws and two away wins. Of the last seven duels Empoli could win only one, 2-0 at home in October 2015. Due to the direct comparison could be in the game Empoli vs. Genoa meet its prediction in favor of the guests. Two rather formless teams meet on Monday night in Serie A. Both of course want to end their respective negative series as quickly as possible. Last weekend Empoli and Genoa showed some improvement in the league. Overall, both teams have brought most of their seasonal points at home and come away in the league on only four counters. In a direct comparison, Genoa has something ahead. But Coach Prandelli’s men were beaten by their best striker last week. Questionable, how well can you quickly compensate for this loss? If you look at the form of the two teams, it is difficult to duel Empoli. Genoa to risk a prediction on the game outcome. At home Empoli is significantly stronger than abroad. It is the same with the guests. That’s why we do not expect much from the Genoese abroad, even if they sold very well against Milan last Monday. For us, the hosts in the duel are just ahead, which is why we played in the game Empoli Vs. Genoa put our tip on “victory Genoa”. As an alternative, we recommend a bet on “Under 2.5 goals”. Empoli scored just 13 goals in ten home games. Genoa has eleven goals in nine away games, but now has to do without Piatek. Even when Piatek was still under contract in Genoa, ended the last three league games with the participation of the CFC, each with “under 2.5 goals”.